I’ve come up w/ a brilliant idea. Again. I downloaded them months ago, but on my morning drive to work today, “DJ got us feeling in Love Again” came on. I have my mp3 player on my phone on shuffle, & w/ over 500 songs on it, I don’t always hear them all very often. Now, I knew that the “Good Life” song had Pitbull in it on the radio, so I was really careful to find a version w/out Pitbull to download for my playlist. HOWEVER, I was not aware that the Usher song had a Pitbull version. I’d only ever heard the normal version (sans Pitbull). So, I was jammin out to Usher, trying to wake up, & screeeech, on comes a rap from Pitbull! That’s when I came up w/ the idea. 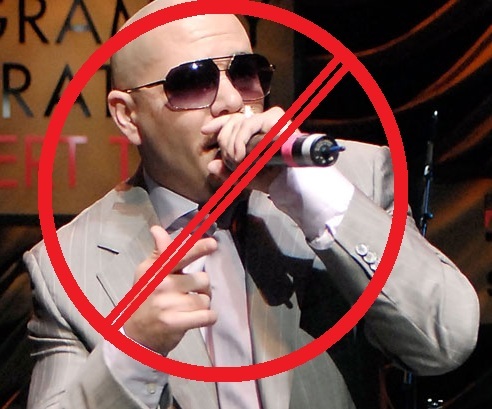 What if there was a de-Pitbullify app. So, if you accidentally download a song w/ Pitbull in it, then when you launch your music player, it can identify & isolate it. A message would come up warning you that you’ve contaminated your phone w/ Pitbull, & ask you if you’d like to promptly delete it. Then, it can ask you if you’d like to download another version (a Pitbull-free version) of the song, or if you’d like it to “remind you later” to do so. You know, how it asks you to rate an app now, or if you’d like it to remind you later!